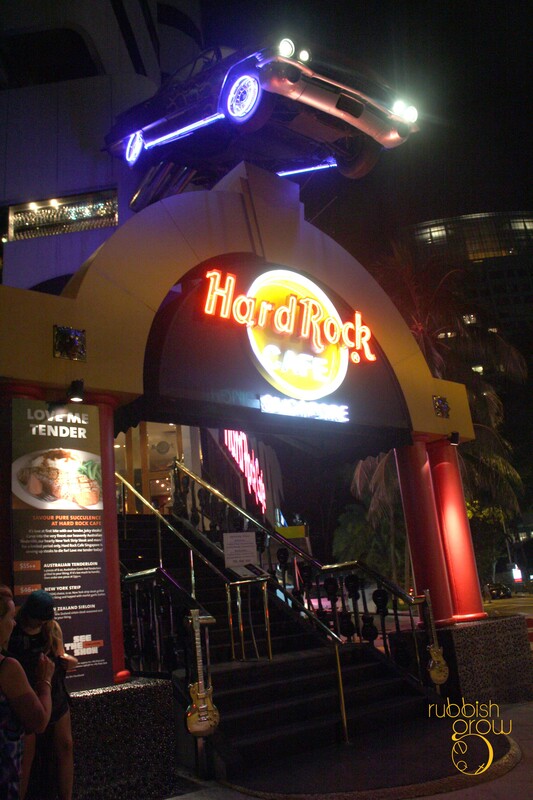 It is a misconception that Hard Rock Cafe is for tourists. We heard that the venerable food critic Wong Ah Yoke comes here once a month. Decor: The iconic car-crash-on-the-awning leads to a two-storey American-styled dinner with booth seats, bar seats or wooden seats with round tables. Performances such as singing and stand-up comedy–Kumar performs every Monday 11pm–liven up the joint. The ambience is fantastic and boisterous, making the restaurant an ideal place for hanging out in big groups. For alcoholic drinks, we strongly recommend the mojito ($14) which is sweeter than elsewhere, and tropical rock ($18), a sweet melon-y drink with Absolut rasperberri vodka, creme de banana, pina colada, pineapple juice and Midori melon liqueur. For those who like their cocktails bitter, Pierre Goh enjoyed the beer mojito. For non-alcoholic drinks, try the SARS drink, Cecil ice tea. Concocted from freshly brewed tea with cinnamon, clove and orange, it is very refreshing. Good for pre-, mid- and post-prandial. Real men go straight to mains and that’s why we had two appetizers. Between the hickory smoked chicken wings ($15, with a choice of one of three dips) and the chili crab dip ($15) with mantou, we prefer the latter. 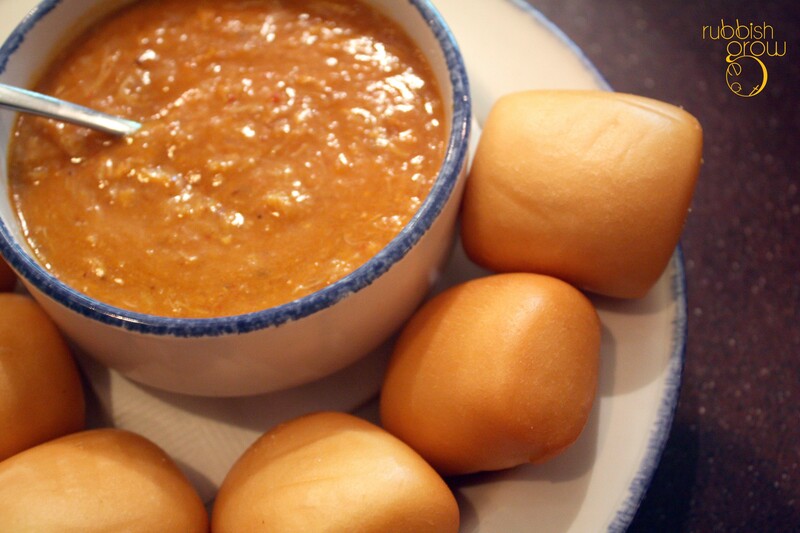 The mantou comes out hot, crispy and tender. Save the remaining chili crab dip for other dishes. 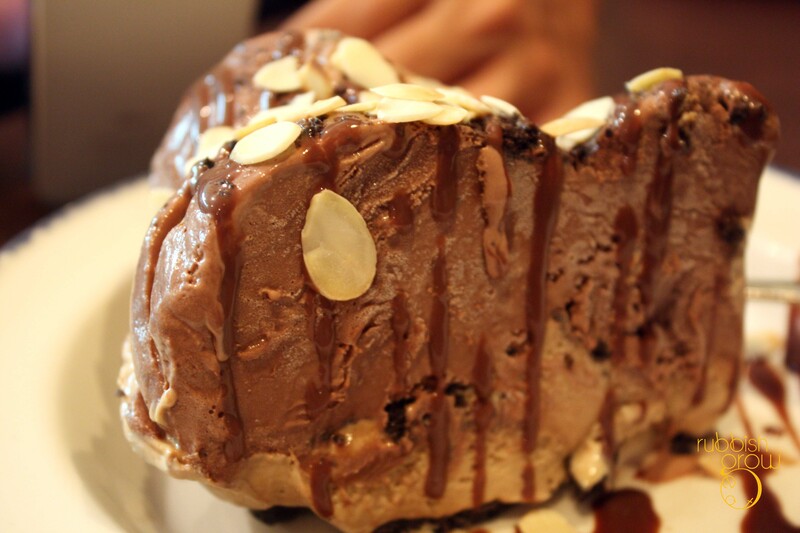 It goes well with everything from fries to char kway tiao. 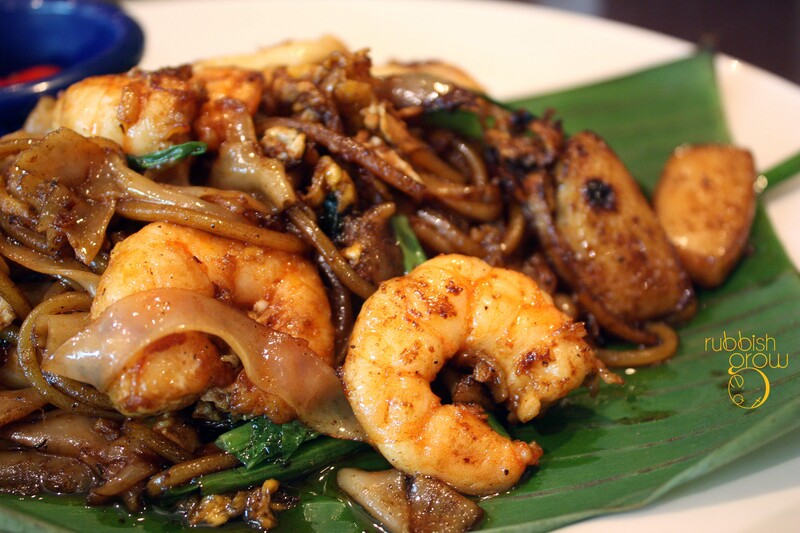 Yes, there is seafood char kway tiao ($18) at this American diner. Anything Also Eat‘s favorite dish for the night, this dish is also highly praised by Melicacy and Sg Food on Foot. We can’t say we like it as much as them. The Penang-styled CKT is al dente, chewy, and stick together while we prefer a wetter, sweeter Singapore style. We are not sure if we would pay $18 for CKT. 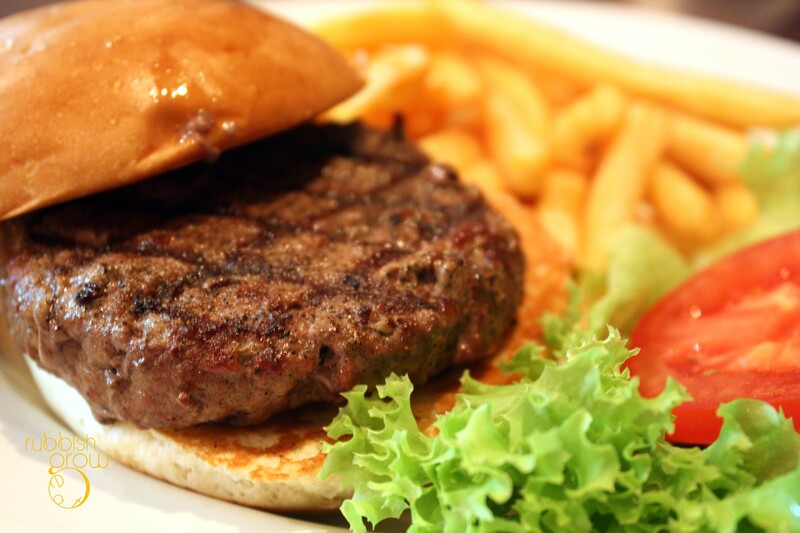 We find the Wagyu burger (not on the menu, ask for it!) 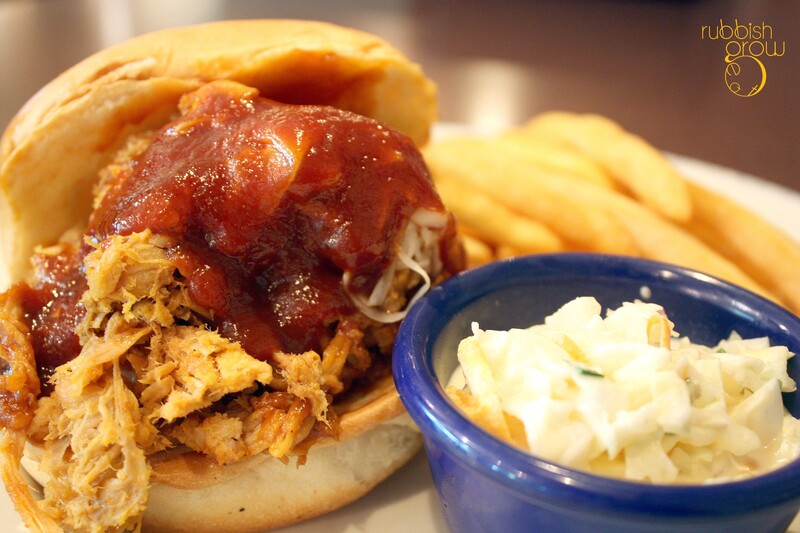 a tad dry and prefer the hickory-smoked pulled-pork sandwich ($22, pictured below). It’s a pork of many disguises: textured like tuna and tastes like beef cheeks. There is a smoky sweet BBQ flavor which is amazingly scrumptious. We highly recommend the pork sandwich. A close relative to the pork sandwich is the hickory-smoked BBQ ribs ($32), a full rack of ribs that meat slides off the bone. Like the pork sandwich, the ribs are strongly flavored and make a satisfying meal. Recommended dish. Another dish we sampled is the twisted mac, chicken and cheese ($26). The ingredients are imported from USA. The mac-and-cheese is lighter than elsewhere so you can finish an entire plate on your own. The chicken is especially tender. If you’re not up for a heavy meal, order this. 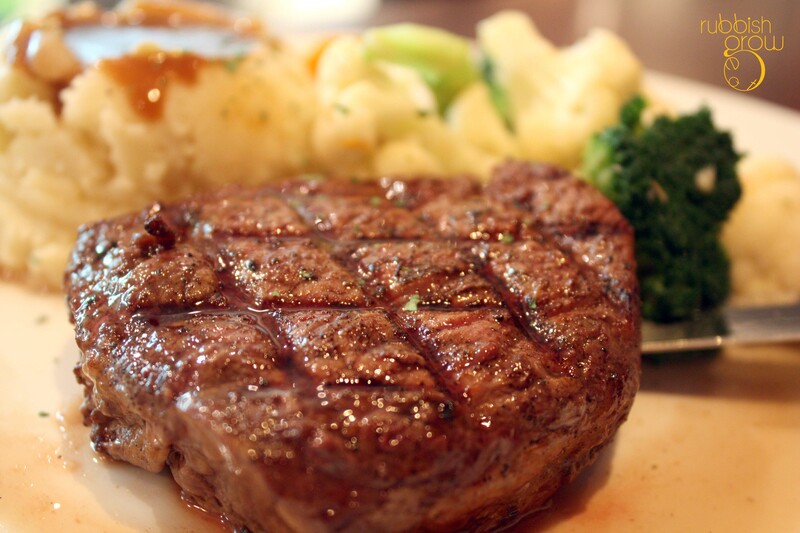 The Australian tenderloin ($35 for a piece of 6oz, $55 for two pieces) is, if ordinary, nicely handled and prepared. 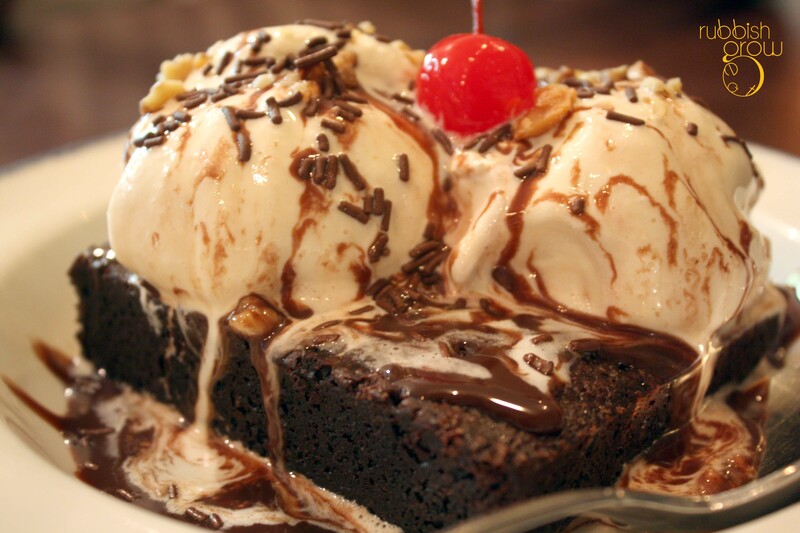 All the three desserts–Apple Cobbler ($16), Mud Pie ($16) and Brownie ($18)–are very hearty and hence very satisfying, very shiok. No gu-niang (sissy) French desserts please. 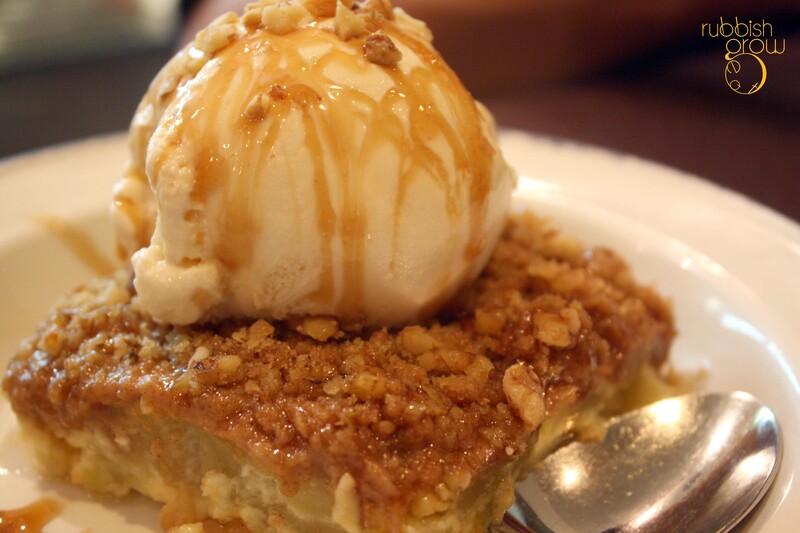 Our favorite is indubitably the Apple Cobbler because the tart apple contrasts beautifully with the generous scoop of Haagen Daz vanilla ice cream. The company was great, the food is delicious and generous, the servers are hot, the atmosphere is lively. 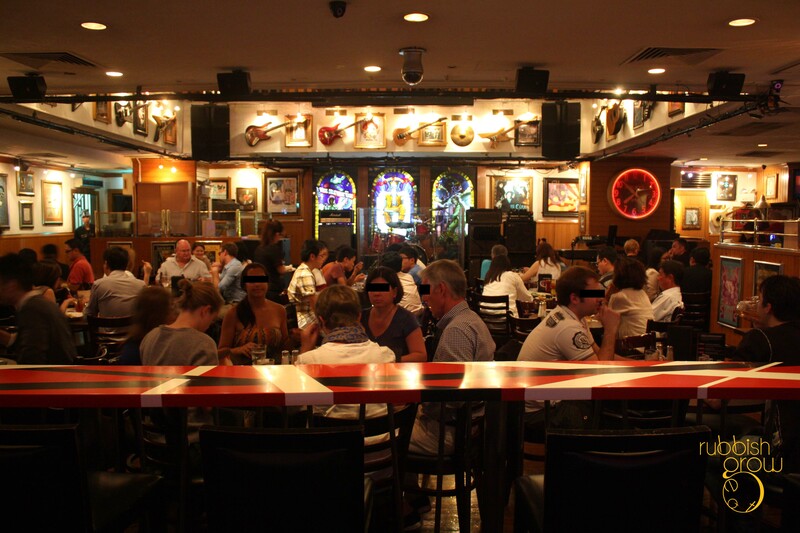 We came here twice or thrice 10 years ago and Hard Rock Cafe is still as good as we remember. PS: We thank Natalie and Hard Rock Cafe for hosting us until 11pm. Yikes, sorry for the OT.